Dr. Brooks Educates Us All - You Can Listen Now! On Professional Day, we hosted nationally renowned psychologist, author and lecturer, Dr. Robert Brooks of Harvard Medical School and Harvard Graduate School of Education. Dr. Brooks spent two days with us, first meeting with our administrative team, then presenting a lecture to parents on Building Resilience Among Children and Teens, and finally providing a day of professional development focusing on the mindset and strategies of effective educators for the faculties of all divisions throughout the Academy spectrum. 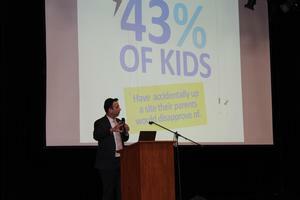 Dr. Brooks's presentations provided valuable insights and were extremely well received. Sixth Grade Choir Sing for a Cause! We are so proud of our boys for stepping up and singing at the Super Sunday Campaign for the Federation of Cleveland. Many of our Staff and Parents also showed up to volunteer and give back! The HAC Kindergarten had a wonderful new start as students got off their busses and were warmly welcomed to their new home at the Oakwood Campus. Students and staff have been eagerly awaiting their first day in their new, state-of-the-art facilities, and they weren't disappointed! 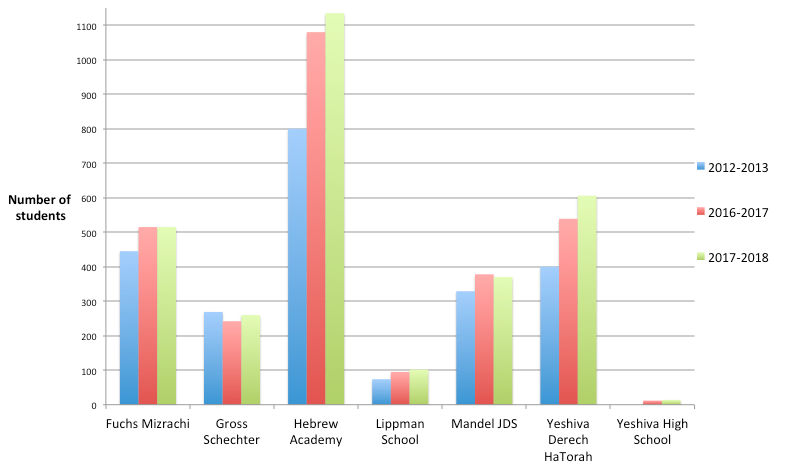 Hebrew Academy of Cleveland's record enrollment featured in the CJN! This past week, our students celebrated many milestones. From Preschool Graduations, to 8th grade Oakwood Graduation, to Yavne High School Graduation, our school community has much to be proud of and we wish our students hatzlacha as they move on to their next stage in life. On Sunday, June 18th, fathers and sons joined together one last time for the school year to learn together as part of the M'dor L'dor Father Son Learning Program. The success of the program is a testimony to the hard work of our rebbeim and Kollel. We thank all fathers who came out to learn with their sons over the course of the year. The HAC PTA Fun Run, Carnival and BBQ held at the Yavne Campus on Sunday, June 11th was a super success, despite the 90 degree weather! In addition to the race, participants enjoyed face painting, Rocket Car, Thriller Car and inflatable moonbounces and activities. Mazel Tov to our winners! On Friday, June 9th at the Oakwood Campus, the 7th and 8th grade boys celebrated with residents of Menorah Park and Montefiore, their rebbeim, and administrators as they concluded their year of intergenerational programming as part of the Better Together program. This week, Yavne held its first annual Exhibition of Innovation Fair. Mrs. Feigenbaum’s ninth grade STEM class presented engineering prototypes that they had been working on all quarter. All the projects involved programming an Arduino microcontroller, using sensors, wiring electronic components, and constructing the final prototype.